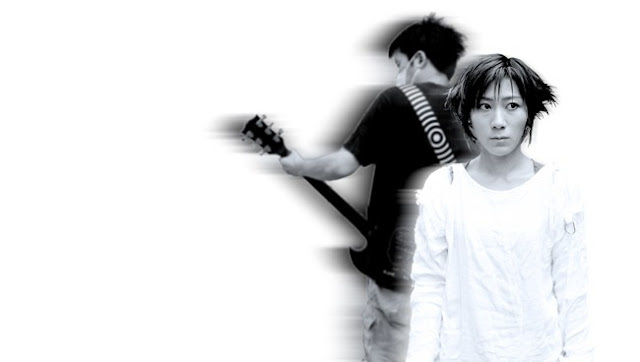 Having formed in 1991, Melt-Banana have become one of Japan's best musical exports. Their blend of grindcore, punk, industrial rock and pop is somewhat unique and continually entertaining. The duo (Yasuko Onuki and Ichirou Agata) have released a dozen-or-so albums and numerous EPs and singles. Drummers come and go - often drafted in on a temporary basis only - but still Melt-Banana continue to make one heck of a racket. Naturally, John Peel loved them and they recorded a couple of sessions for him. They were right up his street of course, which means they will certainly not be to everyone's taste. You have to 'get' this sort of thing to enjoy it. I do. Knowing where to start in Melt-Banana's discography is difficult. What I've decided to do is give you a song from their most recent record, 2013's 'Fetch', and a track dating from 1998, their searing version of the Damned's Neat Neat Neat. They're not afraid of a good cover, this lot. Over the years they've taken on songs by an impressive range of artists: Nina Simone, The Birthday Party, Toots & The Maytals, Kraftwerk, Queen, The Beach Boys, Tom Tom Club... styles, genres - pah! Means nothing to Melt-Banana, everything's fair game. While the band's more recent output has arguably been more accessible than their previous work, it's still not what you'd call 'radio-friendly'. A splendid noise indeed. And here's a live clip I love - particularly the guitar noises! Bloody awesome stuff, if you ask me. At this point I'm not sure when, or even if, I'd want to hear Melt-Banana again, but I can honestly say without fear of contradiction that I thoroughly enjoyed all three of those tunes. Bracing! I saw them somewhere sometime in the mid 90's (I was very drunk) and I loved the noise they made. As I said I was very drunk. I saw them at the Custard Factory in Birmingham. Fantastic noise. Played one of their albums last sunday but was stopped by a power-cut (that lasted 7 hours).